John Gonzalez and Amy Sherman are co-hosts of "Behind the Mitten," a podcast about Michigan beer, food, festivals and the people who make it all happen! Today's episode finds Amy and John at Brewery Vivant in Grand Rapids. Brewery Vivant is tapping a seasonal beer, a Belgian Wit (on Jan. 8). 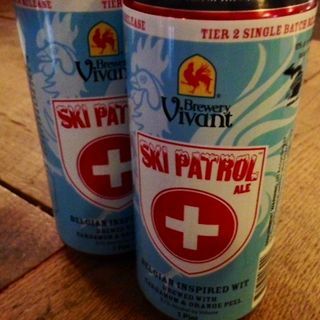 It's called Ski Patrol. John and Amy talk to Ben Darcie about the beer, and special dinner pairing this weekend with Brook Trout. (Listen at 5:20). John and Amy also talk about the ... Maggiori informazioni second-year KD-Ale program with the Kent District Library. Morgan Jarema is their guest. (Listen at 20:31). Also, Paul Starr of I'm a Beer Hound calls in to run down some of this weekend's events. (Listen at the 34:30 mark).